Having met Anna Pitt at Sesi Wholefoods on Monday, I’ve been experimenting with meal ideas created from food waste. I’ve started taking my food waste bin seriously and delving in to discover new and exciting recipes. Many important vitamins and minerals are thrown away when you peel and trim vegetables as most of the nutrients lie just under the skin. If you have to peel instead of just a good scrub, you can save these peelings for use later on. For example food waste soup. 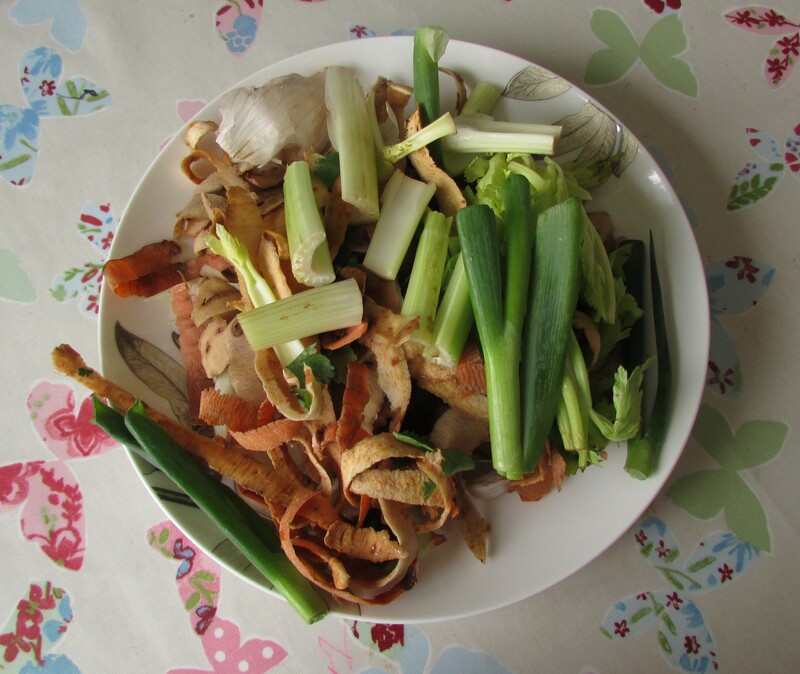 This is an easy introduction (after potato peeling crisps) to using your leftover peelings and reducing food waste. I cooked a chicken earlier in the week, then used the bones to make the best stock ever. I’ve been saving all my peelings, skins and veggie odds and ends in a Tupperware in the fridge, and today was the moment of truth where I combined everything that would have usually just gone in the bin. After thoroughly washing my veggie waste (potato and carrot peelings, some onion and garlic skins, celery leaves and spring onion tails), I pressure cooked them in the chicken stock I had made earlier. Then I simply blitzed it all with the hand blender! The results weren’t exactly a gastronomical revolution, but perhaps more importantly, a nutritious and hearty Winter soup that would go well with any home made focaccia. I was pleasantly surprised, a dollop of crème fraiche, natural yoghurt or indulgent cream would bring this soup alive! 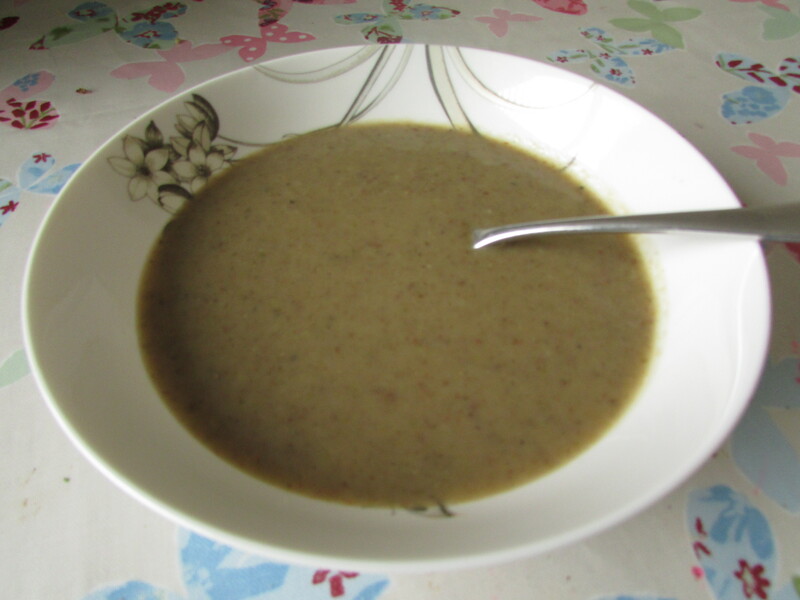 As all the ingredients were heading for the bin – this soup could almost be considered FREE! If you like this recipe check out my orange and lemon peel cake – it’s delicious and passed the kids party test. This entry was posted in Food scrap meals, Low cost Lunches on February 14, 2015 by carolinementzer.